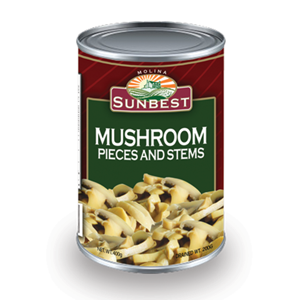 Mushroom Pieces & Stems | Molina & Sons (PHILS.) 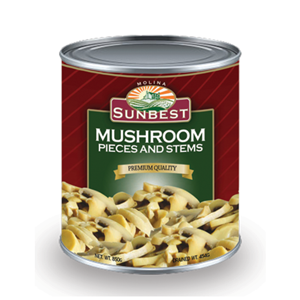 Inc.
Mushroom pieces & stems are still button mushrooms which was cut into thin slices with the mushroom cap and stems. It contains an especial high amount of Vitamin B and Potassium. 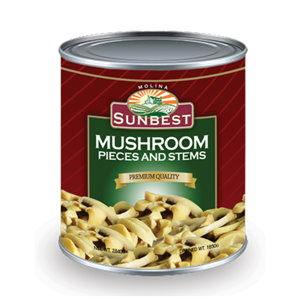 Mushroom are valuable health food-low in calories, high in vegetable protein, iron, zinc, fiber, essential amino acids, vitamins & minerals.